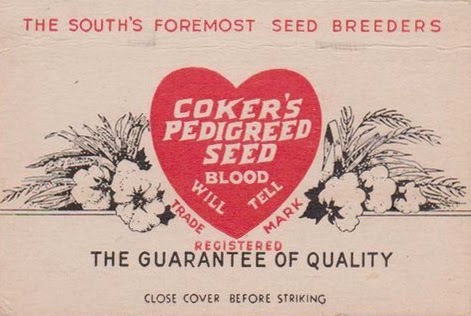 Vintage matchbook cover advertising Coker's Pedigreed Seed (1914-1988) here in Hartsville, South Carolina...a pioneer in breeding high quality cotton seed and other crops. A logo still visible on rusted warehouses around town...that heart a nod to our community. 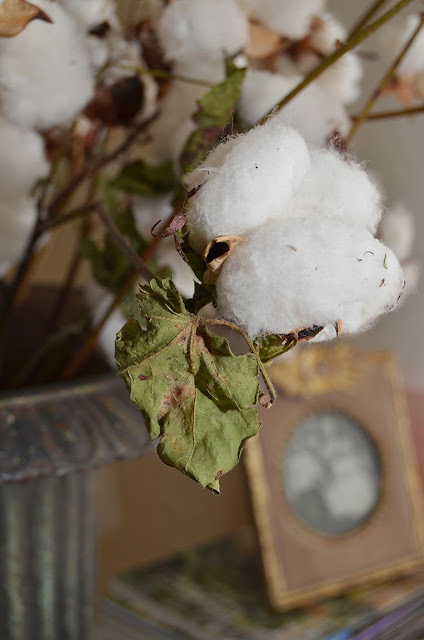 In 1963, 65% of the cotton grown in the Southeast was grown from seed produced by this experimental farm. A flowerless Friday flowers...cotton in an urn on our library table. 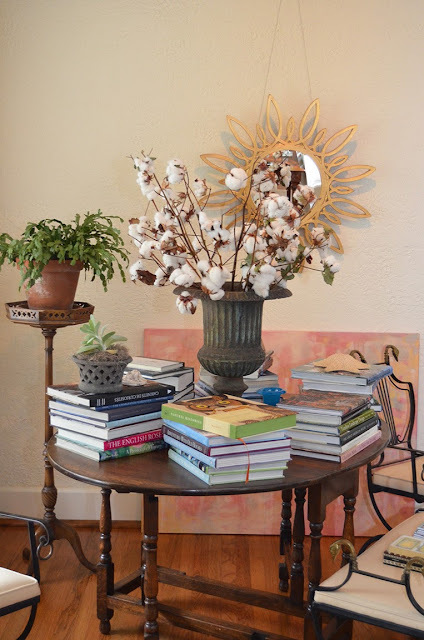 What a pretty, unexpected way to add some interest. The urn is pretty great, too. Probably my favorite display of yours yet!.... such great memories of playing in the cotton fields as a kid in Alabama..... magic!